Dr. Fedder arrived at the university in 1994 with a joint faculty appointment in the Department of Electrical and Computer Engineering and The Robotics Institute. 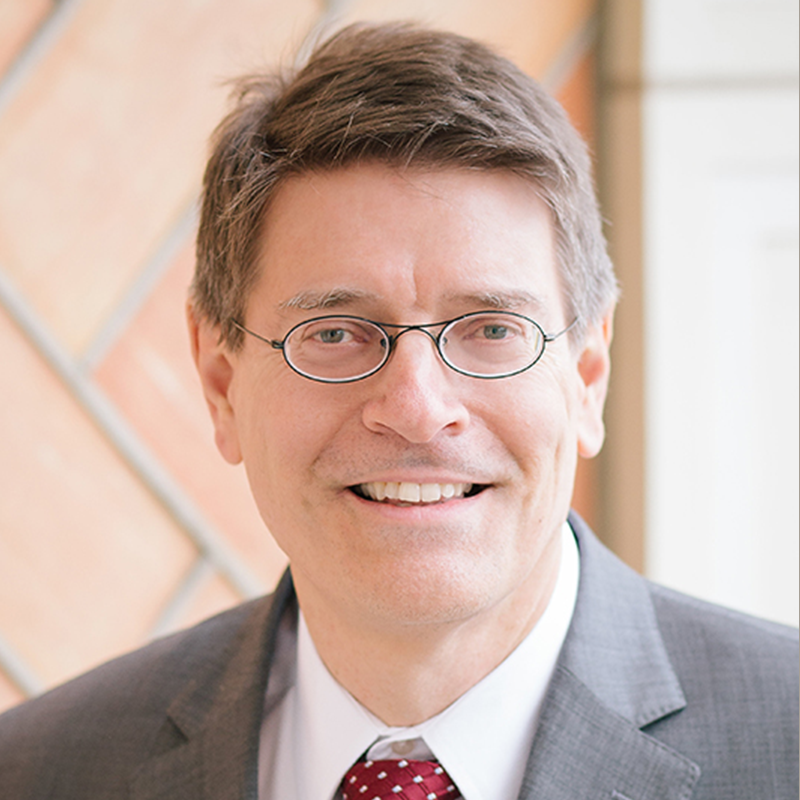 He currently is the Vice Provost of Research, Howard M. Wilkoff Professor in ECE, professor in Robotics and has courtesy faculty appointments in Mechanical Engineering and Biomedical Engineering. He previously served in administrative roles as Director of the Institute for Complex Engineered Systems (2006-2013, now known as the Engineering Research Accelerator), as Associate Dean for Research in the College of Engineering (2013-2015) and as Interim Chief Executive Officer for the Advanced Robotics for Manufacturing Institute (2/2017-1/2018). Dr. Fedder earned his B.S. and M.S. degrees in EECS(6.1) from MIT in 1982 and 1984, respectively. From 1984 to 1989, he worked at the Hewlett-Packard Company on circuit design and printed-circuit modeling. In 1994, he obtained the Ph.D. degree in EECS from the University of California at Berkeley, where his research resulted in the first demonstration of multimode control of an underdamped surface-micromachined inertial device. His research interests include design and modeling of microsensors and microactuators, fabrication of integrated MEMS with electronic circuits using conventional CMOS processing, and implantable microsystems. In 2007, he was elevated to IEEE Fellow for contributions to integrated micro-electro-mechanical-system processes and design methodologies. His awards include the 1993 AIME Electronic Materials Society Ross Tucker Award, the 1996 Carnegie Institute of Technology George Tallman Ladd Research Award, and a 1996 NSF CAREER Award. Currently, he serves on the executive editorial board for the IoP Journal of Micromechanics and Microengineering, on the editorial board of IET Micro & Nano Letters, and as co-editor of the Wiley-VCH Advanced Micro- and Nanosystems book series. He served on the editorial board of the IEEE Journal of Microelectromechanical Systems from 2001 to 2013 and on the editorial board of SPIE Journal of Micro/Nanolithography, MEMS, and MOEMS from 2010 to 2013. He served as the 2015 Transducers Conference regional program chair for the Americas, as general chair of the 2010 IEEE Sensors Conference, and as general co-chair of the 2005 IEEE MEMS Conference. Professor Fedder has contributed to over 290 research publications and holds16 patents in the MEMS area. From 2011 to 2012, Dr. Fedder served as a technical co-lead in the U.S. Advanced Manufacturing Partnership where he worked with industry, academia and government to generate recommendations that motivated the launch of the National Network for Manufacturing Innovation (NNMI). He co-led the proposal that landed the $70M pilot institute for the NNMI, America Makes , and served on its Executive Committee from 2012 to 2016. In 2016`, Dr.Fedder co-led with Professor Howie Choset a successful proposal to the Department of Defense to launch the Advanced Robotics for Manufacturing (ARM) Institute, which became an institute in the national network of Manufacturing USA Institutes on January 9, 2017. As founding president of the ARM Institute and Interim CEO through its first year, Dr. Fedder built the organization and grew its consortium membership to more than 100 industry, academic and non-profit organizations. Professor Fedder's research interests are in the multidisciplinary area of microelectromechanical systems (MEMS), and focus primarily on design, fabrication, and control aspects of sensor- and actuator-based systems. In MEMS, micron- to millimeter-size systems with sophisticated abilities to interact with their environment are manufactured through the use of VLSI-based photolithographic batch fabrication methods. Current research activities include micro-sensor and microactuator design; microrobotic control and manipulation; embedded microinstruments; nanometer-scale, probe-based data storage; and structured design methodologies for MEMS. Professor Fedder's group is designing a variety of MEMS, including microaccelerometers, gyroscopes, resonant sensors, and x-y-z microservos, using a unique process that combines foundry CMOS with thin film microstructures. Research in MEMS computer-aided design aims to develop structured design tools and a top-down synthesis flow. Continuing research will study control of large systems of microsensors and actuators, and broaden the manufacturing capabilities of integrated MEMS. BME/MSE’s Christopher Bettinger and ECE’s Gary Fedder are part of a team that created a new soft hydrogel material for use in developing non-invasive brain implants. The Board of the Advanced Robotics for Manufacturing Institute has appointed Byron C. Clayton, an experienced leader in public-private partnerships and technology commercialization, as chief executive officer. Clayton will succeed Gary Fedder, who has held the interim CEO role since early 2017. Gary Fedder is in the process of turning Hazelwood Green steel mill into a CMU robotics hub. With the space available, Fedder intends to focus more on manufacturing than on just one type of product. Vice Provost for Research and Professor of Electrical and Computer Engineering Gary Fedder, along with Professor of Mechanical Engineering Philip LeDuc, and Ph.D. student Naser Naserifar, published "Material gradients in stretchable substrates toward integrated electronic functionality" in Advanced Materials.